A space offering modern, trendy, and fashionable goods, Gianni Versace S.p.A (popularly known as Versace) was founded by Gianni Versace in 1978. This Italian fashion company produces luxurious ready to wear clothing and accessories, made in Italy, for both men and women. The logo of Versace is equally catchy which is the head of a Greek mythological figure, Medusa. 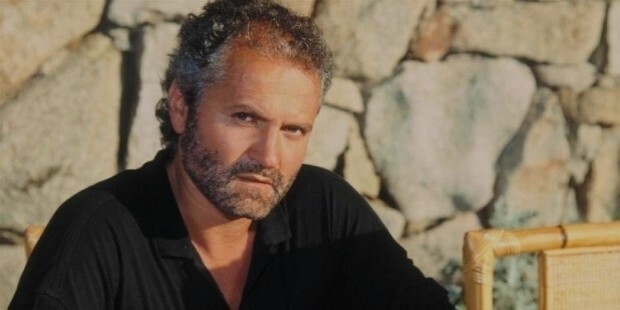 Gianni Versace was an exceptionally gifted and talented person who could manage everything from designing to retailing. He embarked on designing in 1972 with his first collections for Callaghan, Genny, and Complice. He was capable enough to pull a one man show and hence, he started his independent company in 1978 under the name ‘Gianni Versace Donna’. After launching his designs in clothing, Gianni introduced jewelry, accessories, home furnishings, and china industries in 1982. With growing demand and increasing popularity, his sister Donatella Versace created ‘Young Versace’ and ‘Versus’ in 1993. The brand enjoyed a widespread international coverage for its ‘Black Versace dress of Elizabeth Hurley’. The popularity of Versace was touching the sky. They designed for many famous personalities like Princess of Wales, Princess Caroline of Monaco, Jennifer Lopez, Michael Jackson, Elton john, Bruce Springsteen, etc. and hence they were often described as "Rock n Roll" designer. The dream company of Gianni was taken over by his sister as the creative designer after Gianni Versace was murdered in 1997. But this didn’t reduce the sheen of ‘Versace’. In 2002, Versace again received huge media attention when Jennifer Lopez wore ‘green Versace dress’ at the 42nd Annual Grammy Awards. 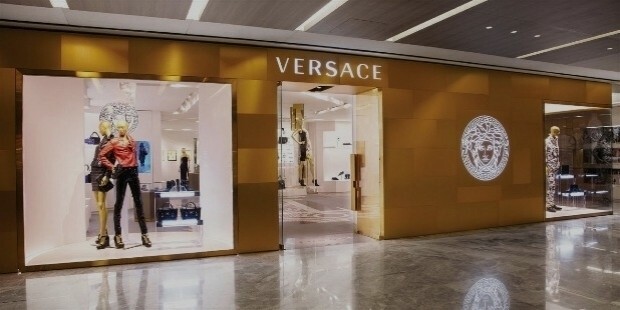 Versace didn’t open boutique outside Italy until 1991. 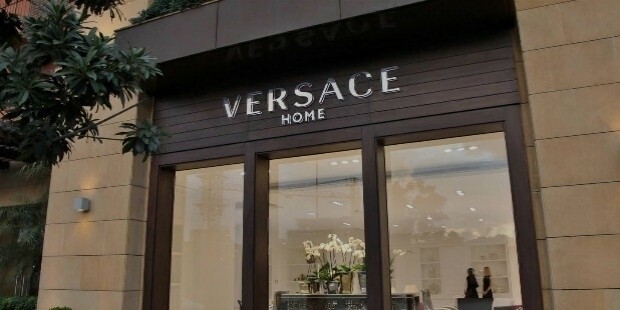 The first Versace boutique, outside Italy, was opened in Glasgow, Scotland. Versace joined hands with Automobili Lamborghini S.p.A in 2006 for a partnership in producing Lamborghini Murciélago LP640 VERSACE. The interior of the car was the work of Versace. An amazing interior with white satin was laid out with Versace’s logo embroidered into the seats. Only 10 units of the car were produced and were available in black and white. In 2008, Versace teamed up with AgustaWestland to create the AgustaWestland AW109 Grand Versace VIP luxury helicopter; the helicopter had Versace leather interior and a design on the outside. 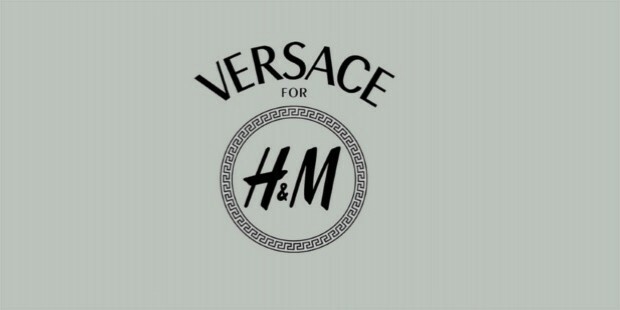 The partnerships were proving profitable for the brand Versace; hence in 2015, they once again joined hands with H&M and together they released a new collection of clothing to be sold in H&M stores. H&M stores sold both men and women clothing as well as home items like pillows and blankets. In 2015, Versace made two more collaborations; one with dancer Lil Buck to launch a new line of sneakers and other big collaboration with the Mind Group firm in China. The Italian and the Chinese company together stunned everyone with luxury residence towers which were called ‘Versace Residencies’. The main objective of designing residence towers was to bring together the ultimate luxury elements of Versace and the traditional culture of China. Versace was approached by Sunland Group in 1997 to build hotels with Versace brand. 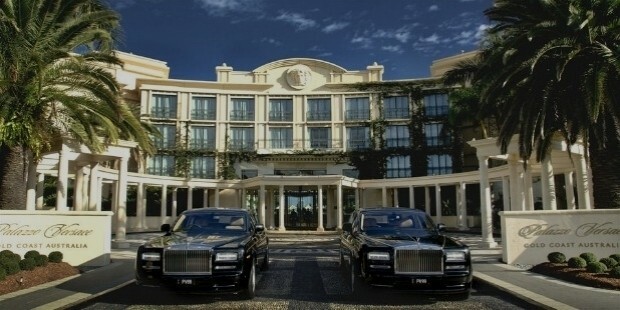 The first Palazzo Versace was inaugurated in Australia’s Gold Coast on 15 September 2000. The second Palazzo was erected in Dubai at the Persian Gulf and the third Palazzo is under construction in Macau. Versace is changing its trend set with changing technology. Today they have official Versace online shops with the iconic world of Versace that includes an exclusive selection of clothing, shoes, and accessories for men and women. They also organize Versace fashion shows to announce the arrival of new designs. The home collection of Versace is truly unique. They use vibrant colors to exude their style.